Check here to see what's new in the InfoVis group. John Wenskovitch is recognized at the department awards banquet on April 26, 2018 for his extensive service to the department and university this year. Among other things John led the Grad Council, initiated the highly-regarded graduate panel events, and played a major role in the graduate recruiting event. On top of all that, he is a general all-around awesome dude at VT.
Caleb Reach successfully completed and defended his dissertation, entitled "Smooth Interactive Visualization". His dissertation developed a formal methodology for smoothness in interactive visualization based on signal processing theory. Congratulations, Caleb! Jessica completed her PhD in CS at VT in May 2016, and is now a faculty member in CS at Mary Washington University. Lab student members and alumni reunion at IEEE VIS 2016 in Baltimore. Congratulations to Dr. Maoyuan Sun, who completed his PhD in August 2016 on interactive visual analytics with biclusters. He joins the Computer and Information Science Department at the University of Massachusetts Dartmouth as an Assistant Professor. 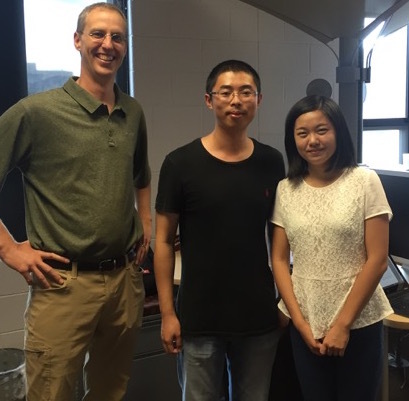 Xin Chen defended her MS Thesis on "Be the Data", and accepted a position at Bloomberg. 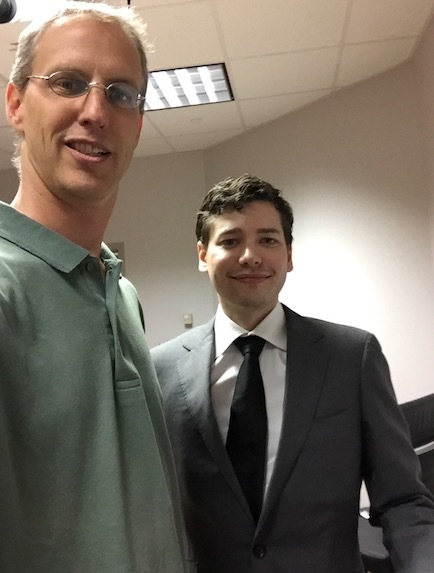 Adam Binford defended his MS Thesis on software architectures for semantic interaction, and will work in the DC area. 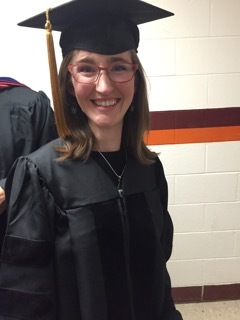 Congratulations to Jessica Self, creator of the Andromeda visual analytics tool, who completed her PhD and accepted a faculty position as Assistant Professor of Computer Science at the University of Mary Washington, her alma mater school.